We are excited about several new events this year. We will be holding a wheelchair singles event on Saturday 10/29. As far as we know, this will be the first time a wheelchair event has been offered at any Northwest tournament. Another new event is the “Family Doubles”. Teams must be composed of two family members of different generations, for example, “mother/son” or “uncle/daughter-in-law”. “Family” can be by blood or marriage. Like last year, we will hold final events in front of spectators on Sunday, October 30 at 2:00 pm. Seattle Mayor Mike McGinn will kick this off by “hitting the first ball” with Acting Deputy Superintendent of Seattle Parks and Recreation, Eric Friedli The exhibition will include some osome other surprise guests. Admission is $3 adults, $2 children. Just prior to the final events, there will be free coaching for kids age 7 – 16. Enter before before Oct. 18, and get free raffle tickets. Spend $10 or more, get 1 ticket, $20 or more, get 2 tickets, etc. 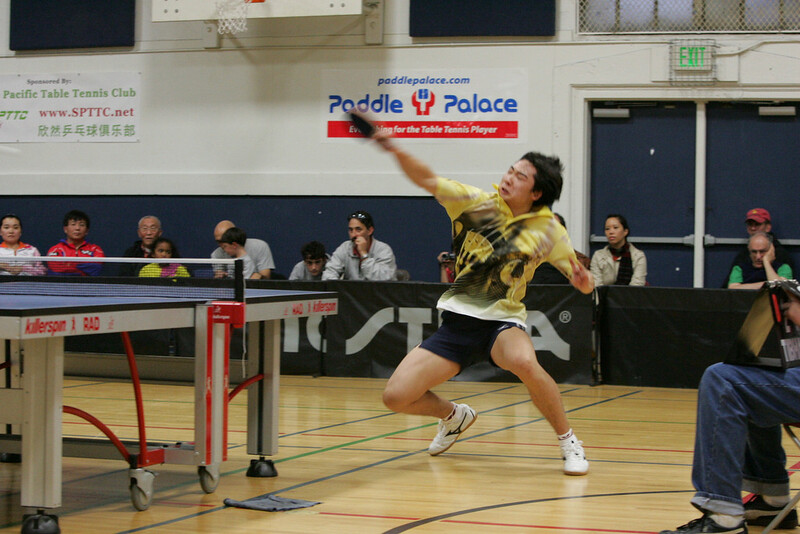 The 4th Seattle Table Tennis Championships are sponsored by the Seattle Department of Parks & Recreation, with support from the GLTTC, the Northwest Senior Games, Paddle Palace, the Seattle Pacific Table Tennis Club, ARC, and the Washington Table Tennis Center. the United States. We were featured on the front page of the Seattle Times “Lifestyle” section on Sunday, October 24, and we had over 100 paid spectators in addition to the players and family members for the 3 pm finals “show” on Sunday. There were about 20 volunteers and we received sponsorship from Seattle Parks and Recreation, the Green Lake Advisory Council, Killerspin, the Seattle Pacific Table Tennis Club, the Northwest Senior Games, Paddle Palace, Hyun Lee, and Phil & Karen Lam. Thank you to everyone who participated, watched and helped out. The 3 pm finals events began with the Under 14 Singles. Michael Zhao took first over runner-up, Kevin Li. This was followed by a exhibition between 11 year old, Reda Ali, and 87 year old Gene Treneer. James Qiao defeated Jenny Zhao with a score of 4 to 1 to take the Seattle City Champion singles title. Please click here and here to see all of Susan Wakeman’s photos, and here to see a list of all winners and runners-up. We are pleased to announce that there will be 3 high level visiting Chinese players entering our tournament. James Qiao is a member of Luneng Table tennis Club in Shandong province, China and competes in the Chinese A League. He has a powerful two-wing loop and fast attack. His rating is estimated at 2700. James Qiao is a member of the coaching staff at the Seattle Pacific Table Tennis Club in Bellevue, WA. Jenny Zhao has competed professionally in China and Japan since age 12. Her estimated rating is 2550. Jenny Zhao currently heads the junior coaching program at the Washington Table Tennis Center, in Bellevue, WA. Vickie Luo is a member of Hubei province Table Tennis team. Two years ago she was selected to as team captain. She also plays in the Chinese A League. Her playing style is similar to that of James Qiao, with more emphasis on control and finesse. Her estimated rating is 2500. Vickie Luo is a member of the coaching staff at the Seattle Pacific Table Tennis Club in Bellevue, WA. We have modified the 7 pm Saturday evening final events to include the #2 vs #3 open singles semifinal. The 3rd Seattle City Championships table tennis tournament will be held the weekend of October 23 and 24 at the Green Lake Community Center. This will be our largest tournament to date. There will be over $500 in prize money, $1700 worth of table tennis merchandise awards from Killerspin (rubber sheets and DVDs), and trophies provided by the Seattle Pacific Table Tennis Club. As in past years, we will have several events for juniors. This year we will have two special spectator events. Admission to the spectator events is $2 each day, but free to participants and their families. There will be a coaching table where spectators and participants can connect with Seattle area coaches, and a players lounge with table tennis videos playing all weekend. We will have 15 different open, rated, and age group events. Two of these events have been designed especially for new players. The U-1200 event has a low $5 entry fee, for those who are not yet sure of how much fun they are going to have. The U-1000 event is our lowest rated event. The format will be a double round robin. In the first round, you will play players who might not be at your level. In the second round, you will play players from the other first round groups who had the same record of wins and losses as you. This way, you will get to play with other players who are roughly at your level. Entries must be received by October 19 ($5 late fee). Please download the entry form from www.glttc.com/3rdSeattleCityChampionships2010EntryFinal1.pdf. Information is available at info @ glttc.com or the Green Lake Community Center, (206) 684-0780. * 13 Killerspin tables with 1 inch think tops. * Wood floor and high ceilings. Wednesday table tennis at Green Lake Community Center is starting again on March 31 and will continue through November 2011. Expected hours are 6pm to 9pm. Note, Wednesday play at Green Lake Community Center will be starting again on March 31, so come take advantage of a chance to practice the week prior to the tournament. 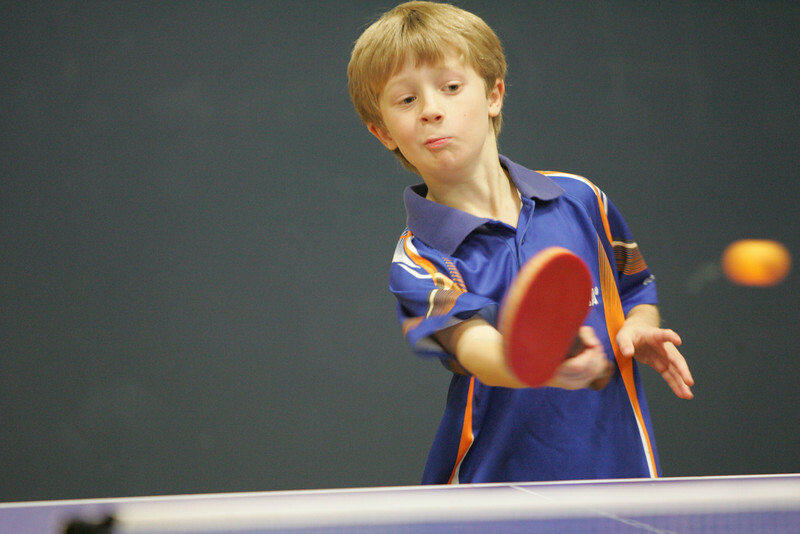 We had started planning our “Seattle City Championships for the weekend of March 27, however the Bellevue Table Tennis Club has moved their tournament to the following weekend. Please check back, or sign up for our email list to be notified of the new date. Wednesday evening table tennis at the Green Lake Community Center has ended for the year and will start up again in March. We are continuing to play at our regular times on Saturdays and Sundays. Call GLCC at 206-684-0780, M - F, 1 pm to 8 pm to buy punch cards. Pickup Sat/Sun before play. All levels welcome! Come alone or bring friends. Paddles and balls are available for free. Tuesday 6-9 pm league. FREE with Quickcard. Friday 6-9 pm. FREE with Quickcard. * On weekends, knock on north gym door.